I like the geometric shapes in Keith Sonnier’s installation Dis-Play II 1970 because the shapes are on a huge scale, therefore, you can’t miss them when you enter the room. It looks like the fluorescent power was thrown onto the shape leaving it fall on the floor. 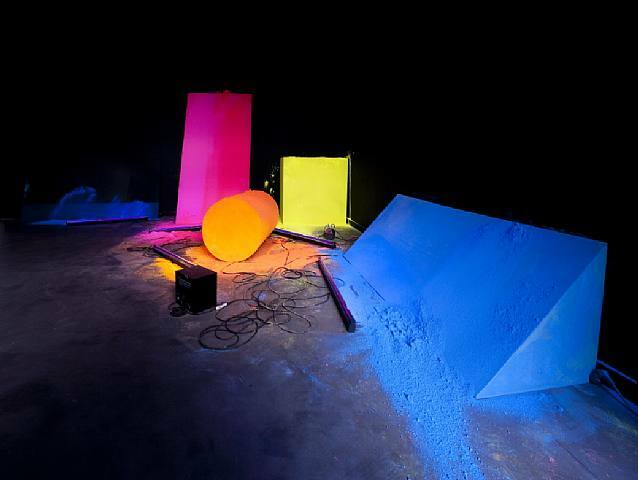 The shapes are made out of form rubber and fluorescent powder. There is an exhibition being held for Dis-Play II installation from March 11-April 30 2010 at the JGM Gallery, Paris, France.